Miami’s police chief has publicly denounced a proposed state law that would require state and local law enforcement to cooperate with federal immigration authorities. 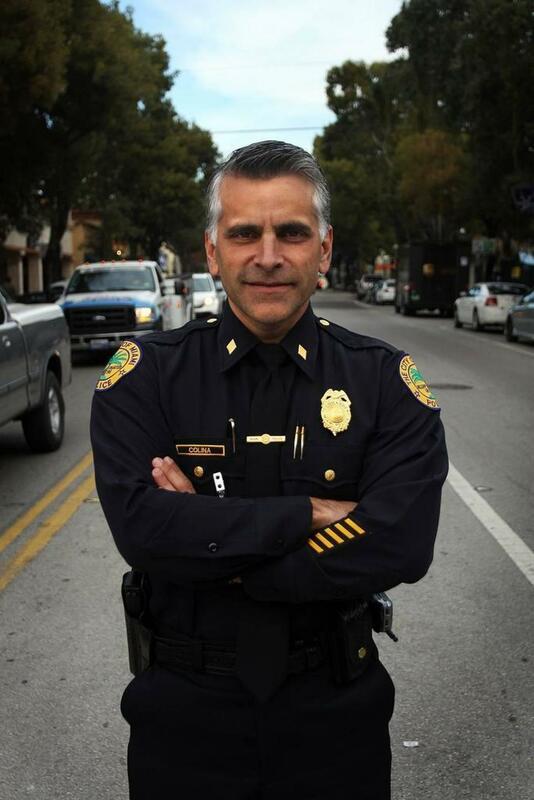 Speaking Friday morning on Spanish-language radio station Actualidad Radio 1040 AM, Miami Police Chief Jorge Colina told interviewers he would rather be thrown out of the police department than forced to comply with the proposed law. He said he didn’t think he could sleep at night if he had to spend time addressing a victim’s immigration status. “The truth is I’d prefer not to have this job if I have to ask fellow officers to go check where someone came from before helping them,” he said Friday morning. Colina appeared on a morning talk radio program hosted by journalists Roberto Rodriguez Tejera and Juan Camilo Gómez, a popular Spanish-language forum for political discourse in Miami. Miami-Dade politicos and journalists are frequent guests on the program. When the conversation moved to SB 168, Colina made his stance clear. “I don’t care if you have papers or don’t have papers, where you came from, or who your parents are,” Colina said. “That’s not my job. My job is to make sure everyone in this city is safe." The bill, which has drawn protesters to Tallahassee from all parts of the state, creates rules relating to federal immigration enforcement by prohibiting “sanctuary” policies and requiring state and local law enforcement to comply with U.S. Immigration and Customs Enforcement. The bill, filed by Sen. Joe Gruters, R-Sarasota, requires local law enforcement to honor federal law enforcement’s request for an “immigration detainer.” A detainer is essentially a request that a local law enforcement agency detain a person based on probable cause to believe that the person is a “removable alien” under federal immigration law. The bill would essentially make the “request” a requirement. This bill would also give whistleblower status to officers who report citizenship violations by undocumented immigrants detained in local jails on unrelated charges. Gruters, chairman of the Republican Party of Florida, filed the same language from the bill he co-sponsored last year but has said his new role as leader of the party will boost support for the bill. Sen. Aaron Bean, R-Fernandina Beach, and Republican Reps. Cord Byrd and Erin Grall filed similar bills in the Senate and House. She told the Herald later Friday that the bill is actually not about residents at all. Under current law, an ICE detainer is simply a request — not a requirement — for state law enforcement to comply. While there are no official sanctuary cities in Florida, Gruters said counties or cities such as Broward County, Key West and St. Petersburg are not up to par with honoring ICE detainer requests. He did not cite any specific examples.